If that is way you see what Paul was saying you’d be only half right because Paul was describing life in general. You don’t need to be a Christian to experience those things, you need only to be alive. However, once we have the whole story, “He has delivered us from such a terrible death, and He will deliver us. 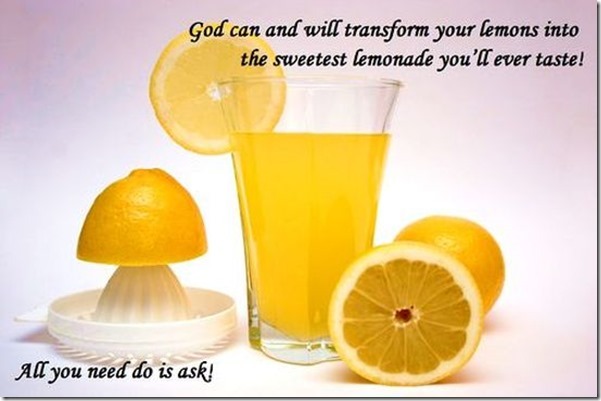 We have put our hope in Him that He will deliver us again…” (2 Corinthians 1:10, HCSB) We begin to see Paul was telling us it is out of our dependency on God that hope comes alive, he was telling us not to focus on the “lemons” but on the “lemonade”.